THE BLOG The Harry Potter Books are Getting Brand New Covers. See the First One Here. The Harry Potter Books are Getting Brand New Covers. See the First One Here. Scholastic Reveals New Book Cover For ‘Harry Potter And The Sorcerer’s Stone’. 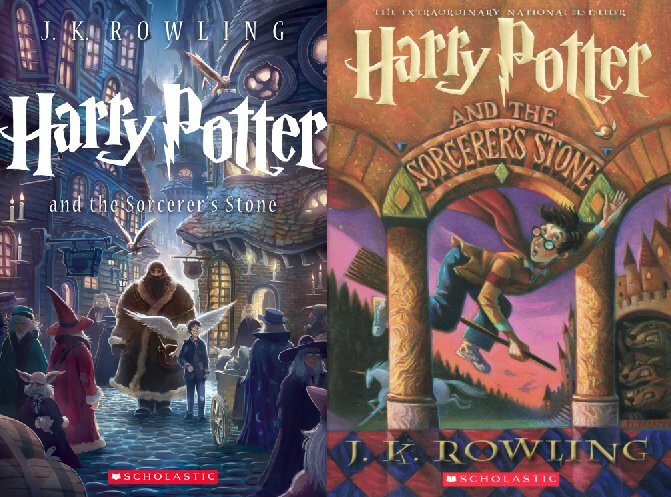 Today, Scholastic revealed the first of seven new book covers for the Harry Potter series. The new trade paperback editions will come out in September, to coincide with the 15th anniversary of the U.S. publication of the series. The cover artist for the books is Kazu Kibuishi, who is best known for his bestselling graphic novel series, Amulet. Each book cover will depict a pivotal scene from the respective book. Yet Harry still looks like Harry. The original illustrator of the Harry Potter books, Mary GrandPre, decided to make Harry look a bit like herself. I love the Harry Potter series! I think the new covers are amazing! I do not think that the covers are exactly what I would like, but they look AWESOME! Thanks for writing the article!